On JULY 5th, 10:00 – 12:00 CET, I3 project is organising a webinar on the topic of Business Model Canvas. The webinar is part of I3 project activities aimed to support EU funded projects (with primary focus on ICT19) in the development of their own innovative Business Model, thus supporting them in exploitation activities. Webinar will primarily support project engagement with i3 Self Assessment Toolkit. The toolkit gives a unique opportunity to the projects not only to assess their outcome results but also to design effective business models. Understanding importance of a good business model and the best practises on developing it, leads to higher chances of successful commercialisation of project results. The expert – Alfredo Adamo, will guide participants through the process of building different segments of Business Model Canvas (i.e. Customers, Value Proposition, Key Resources etc.). The main objective of the webinar is to provide participants with the tools and knowledge to develop their own business models. These later can be discussed and elaborated with i3 experts. All participants, including ICT19 project exploitation partners, are advised to register on http://toolkit.i3project.eu before the webinar. That is a free Business Model Canvas, designed to match the needs of public funded projects. Alfredo is a Senior Business Consultant and Executive of the consulting company ALAN ADVANTAGE srl. 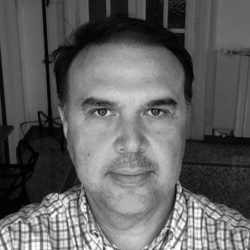 Mr Adamo is an expert in Innovation and advanced technologies and as Senior Advisor of the company he is in charge of strategic marketing; digital marketing and communication, interaction design & gamification, innovation management.